These friendly little dinosaurs just might make you giggle with delight! 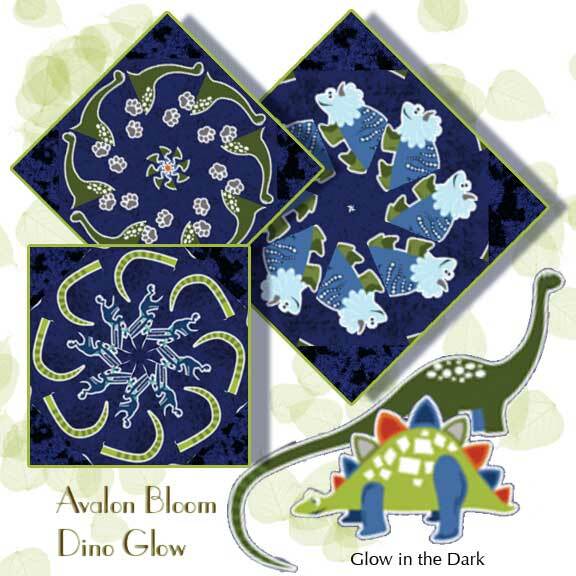 There’s a real sense of whimsy in this print of dinosaurs in bright colors that add to the sense of fun as they glow in the dark. 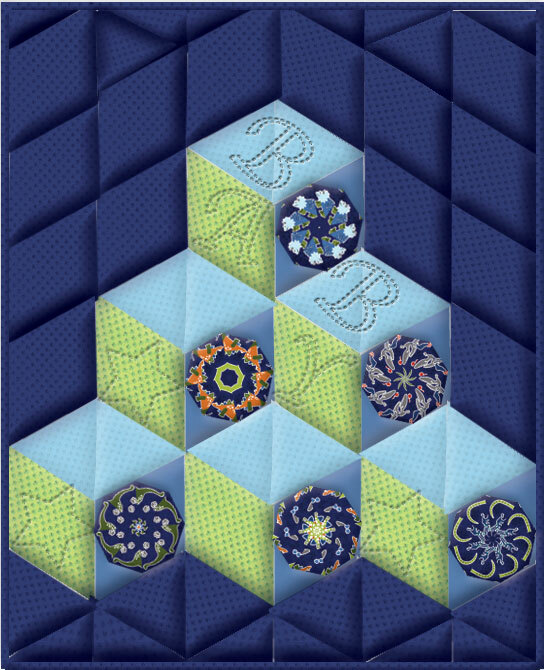 Colors include navy, green, orange, red, and grey .Kaleidoscopes pre cut from Dino Glow by Benartex. Six Precut 8 inch Kaleidoscope blocks are included for this sweet baby quilt size 52 X 65 inch quilt. It is easy to make a cherished heirloom with no Y seams.